I admit, I could not remember my word of the year for 2013 so I had to go back and look it up. It was DRIVEN. At the time, I could not have even begun to imagine the effects of that word on our life through the past year. DRIVEN: It’s had so many meanings this year. We have driven from home to Charleston to home over and over again. We have traveled these miles carrying each of my four children to different doctors. 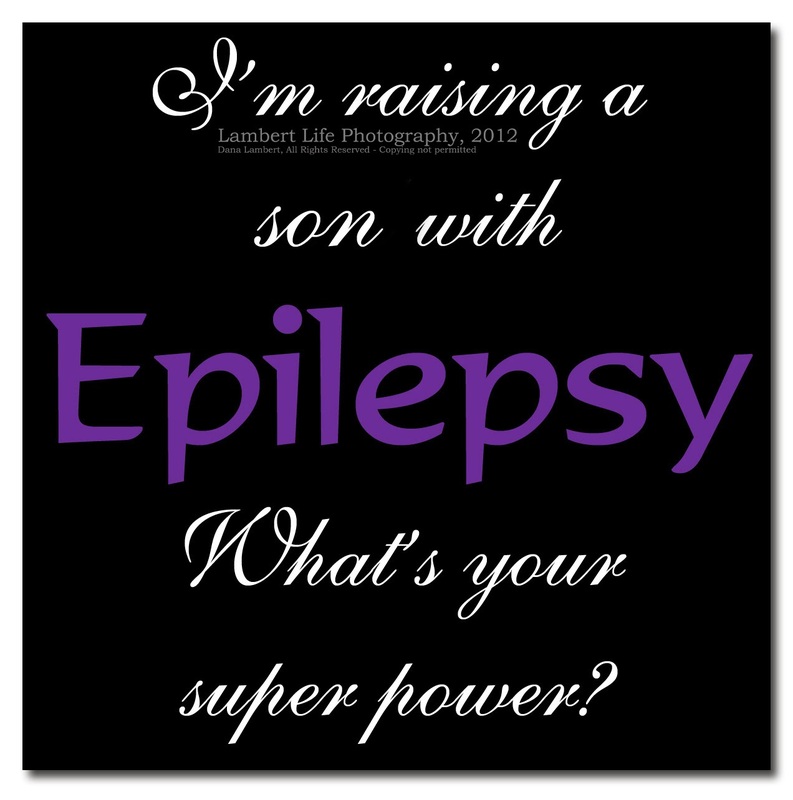 Sometimes coming home with great results, sometimes being placed on the back burner because of our life with Epilepsy and most of these trips were because of our Epilepsy. DRIVEN: The past year has been one of the hardest for our family. We had to be driven to overcome all the challenges and obstacles that have been in front of us for the year. It was hard to keep it all together but we have managed and we are praying in this next year, we won’t need to be so driven to overcome all the things as we have been for the past year. DRIVEN: It’s what my baby has been all year. His immense strength amazes me. He’s fought to hard all year as his sweet body was wracked with uncontrollable seizures that he didn’t even realize were going on. It’s what my sweet daughter has also been, trying to maintain control after her seizure in June which still effects her thoughts daily. Sometimes it’s the aftermath that’s worse than the actual seizure. Yes, this year has been a rough one and our word for last year definitely fit us well!! Our word for the next year is OVERCOME. We will overcome the challenges of the last year. We will overcome the challenges ahead of us this year. We will manage our lives better, attempt to have better control of ourselves, our homes and the little things that life throws at you when you least expect it. That will be my goal and dream for this next year. Through Christ we can OVERCOME it all! Let me just start by stating that the world today is not what it used to be. So many people lack respect for others. People think they are entitled to whatever the world has offered up to them without consequence. 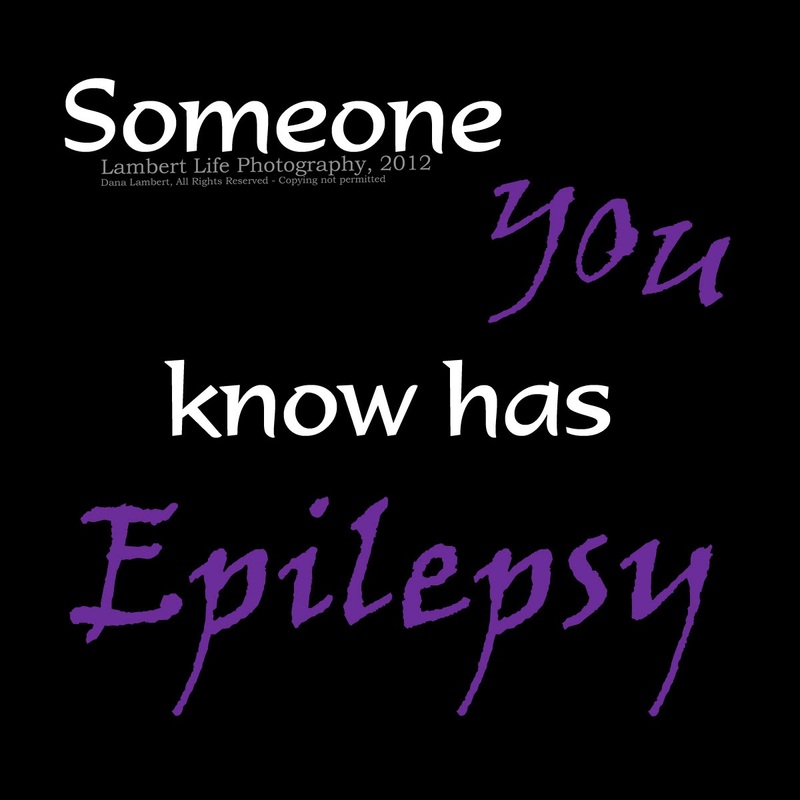 I recently made the mistake of not putting my stamp onto my Epilepsy Awareness images. I didn’t want to stamp them because I didn’t want them to link back to me or my page. I asked they be shared with others so that they could spread awareness, not gain me fame. I realize now that was a huge mistake. I found my images online the other day, recreated into someone else’s work and claiming them as her own. Her stamp was now on them and there was no credit to the original creator though I am really easy to find. No message to me asking for permission to use my work and recreate it into her own. I’m upset to say the least and disappointed in this young woman who has been using others images as her own for a while now. Those of us who take time to put our hearts into supporting this cause are being ripped off by so many like this person. They are taking our work and crediting themselves to it without considering the effort it took to create these images in support of the awareness they bring. Because of this, I have removed my images and reissued them with my photography copyright on them. They will bring attention to me and my pages which was never my wish. But they will also bring awareness for this cause I am part of without a choice. 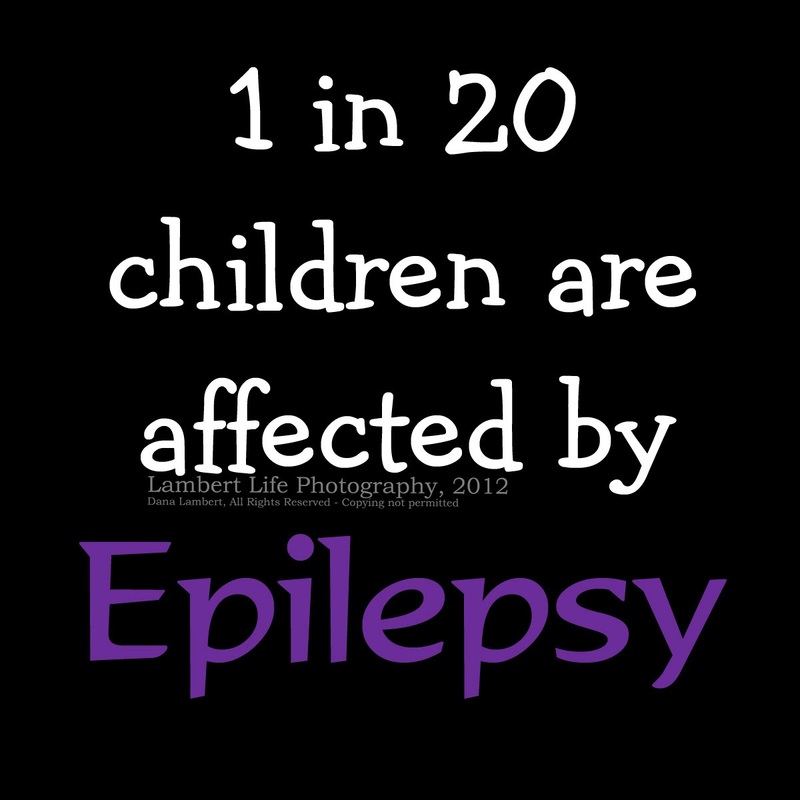 Epilepsy is a MONSTER. It’s the worst thing ever. And it’s my wish for others to understand just how this disorder affects myself, my family and so many others like us. 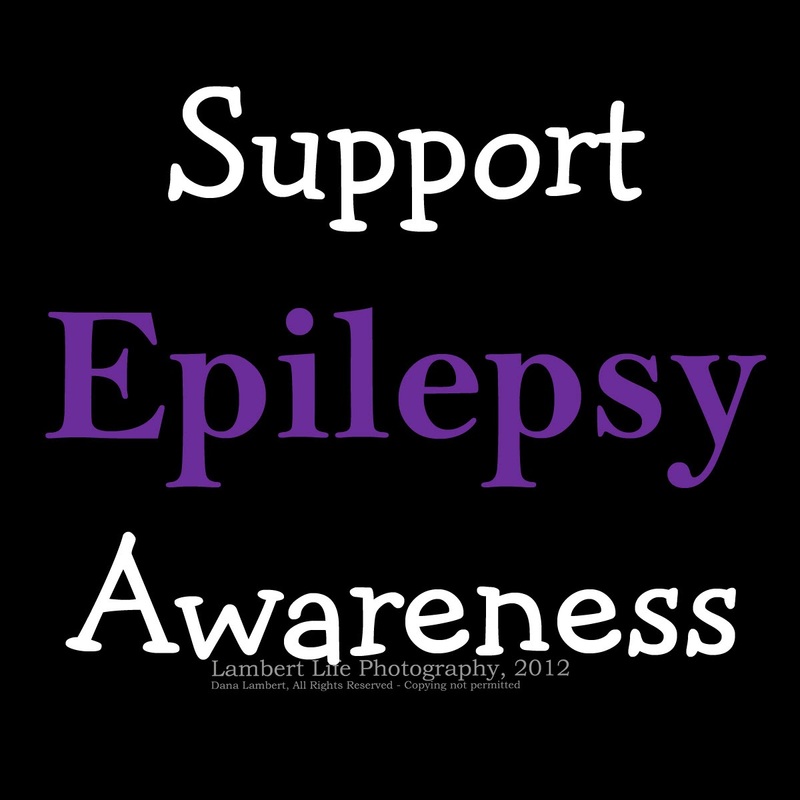 Please help spread awareness by sharing these images and standing up for Epilepsy Awareness as well. 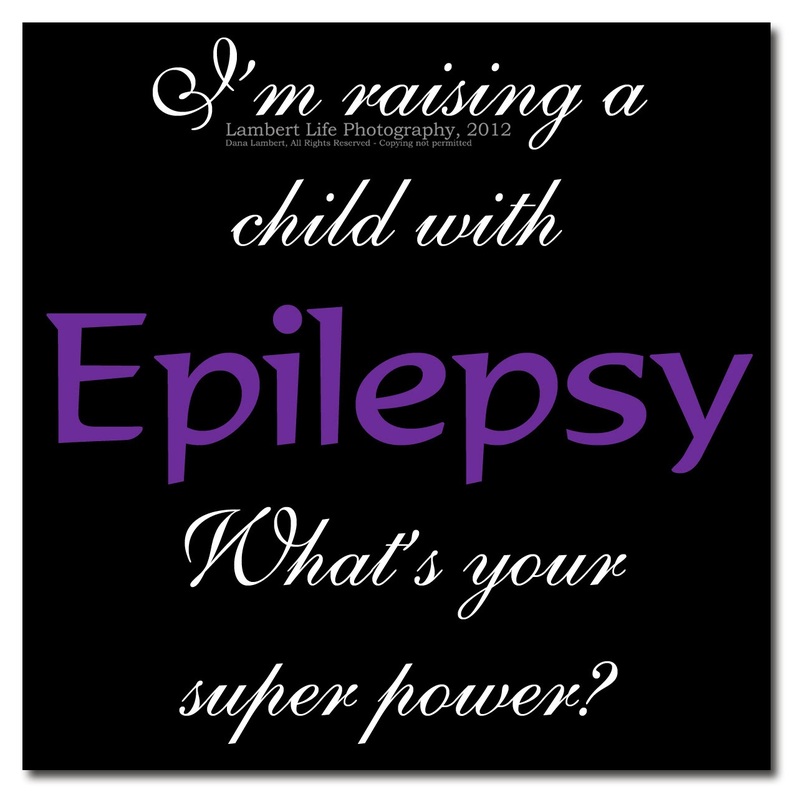 I spread Epilepsy Awareness for my children. Jackson had another seizure last night. It honestly terrified me. I was afraid it wasn’t going to stop. He hasn’t had a seizure that bed in months. The circumstances were the same. He got upset and boom, the seizure took over after he hyperventilated. Then he was just out. This one lasted over 5 minutes and took 5mgs of Diastat to stop. I used up his 2.5 shots because I wanted to see just how much it would take to get it under control. It took both of them, equaling 5 mgs. I did the first one and it did nothing – the seizure was still going full on. I administered the second dose and the seizure stopped within a few seconds. I have to admit – I was so afraid he’d slip away from me right then. I was terrified he would not stop shaking. His whole body was out of control, shaking from his head to his sweet baby toes. It hit me that this may be our daily life. We may never have full control for him. Ever. And that seriously scares the Hell out of me. As a Mom, I’m worn out with this. 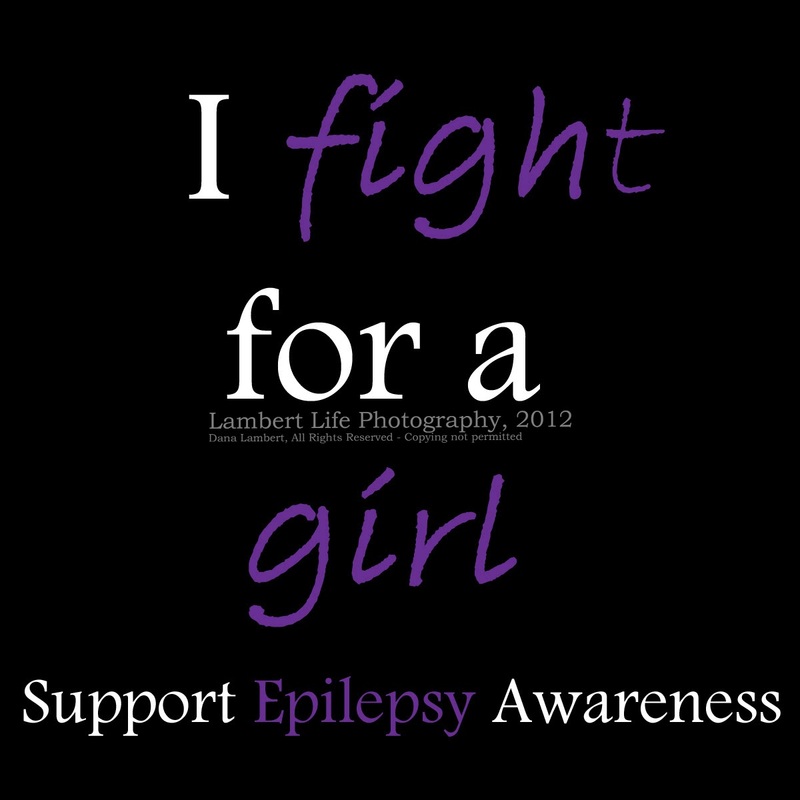 I’m struggling to keep up and just enjoy my days without letting Epilepsy control our lives. I’m thankful that I have my Mother to help me because I seriously don’t know what I would do without her or my older kids for that matter. They are also a huge help through this. I asked online for help obtaining a monitor for the kids room. I need one to even hear the EmFit on Laycie’s bed and it would be wonderful to be able to see her while she sleeps and her brother as well. It’s hard to even leave their side knowing what may happen – that it may be the last time I ever see them alive again. A video monitor will allow us that peace of mind. My dear friend Jo Pair Reaves shared my plight. 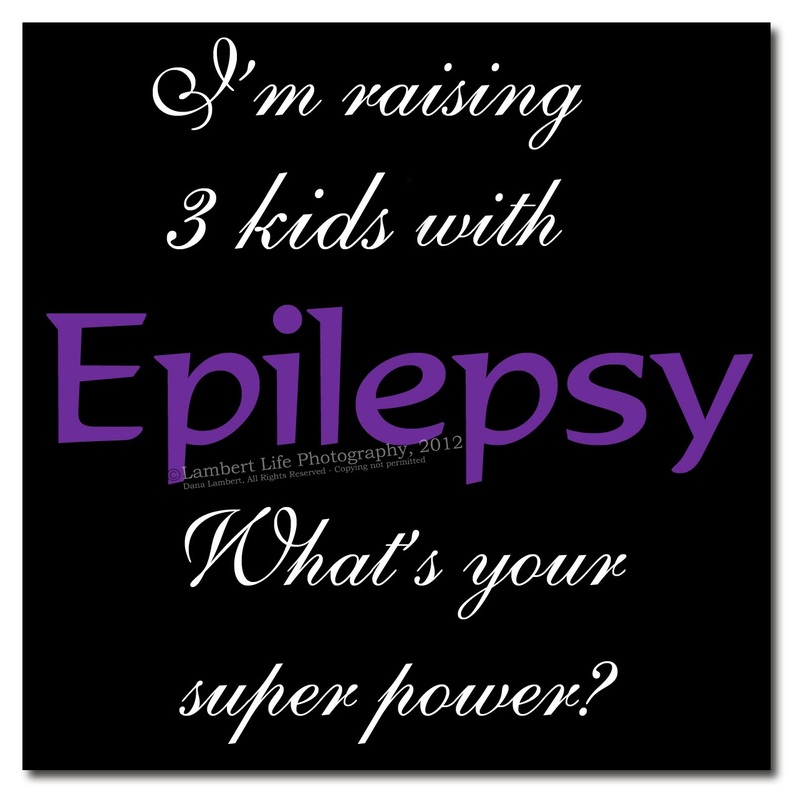 She is an Epilepsy Momma of two handsome young men. She understands very well just what our family goes through every day because she lives it. Thanks to Jo, we have had a few anonymous donors step up to help us obtain monitors for the kids. I cannot express how very thankful I am! I have thought about this for so long and now it’s happening. I feel so absolutely blessed! So if you are reading this, please know how thankful I am for the kind gift you have given to us. After our terrible night, this has been such a blessing for us today. I’m so thankful – more than any words could ever express. Similar nose, ears, hands, chins, mouths and even expressions! I was looking through pics tonight and came to realize just how much all my babies look alike. 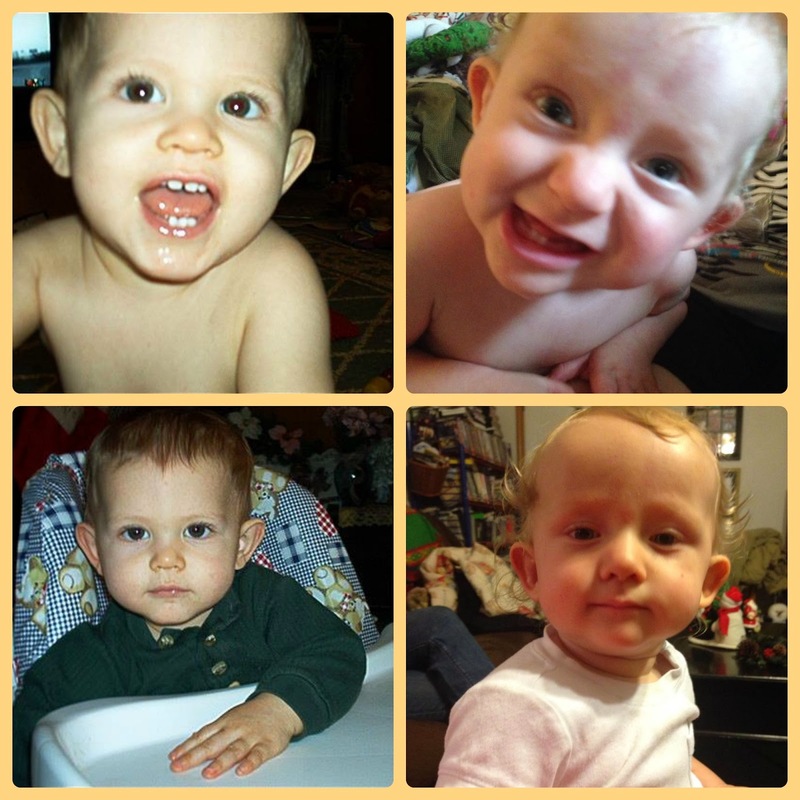 I find it fascinating that my oldest at 13 has so many similarities to his baby brother who is now a year old. The girls also have a lot of resemblance to each other and to the boys as well. Warms a Momma’s heart to have such beautiful children! Have you found your self struggling to keep up with the Word of God as a busy Mom? Is your time short and are your days rushed with little time to look at the Bible, much less read it? Do you find that your prayers go up quickly but there is no room for anything else but yet you’d like to add in that sweet devotional time with the Lord? Look no further than Putting On The Spirit by Katie Hornor. Putting On The Spirit is a one month devotional that literally takes 10 minutes from your day to do. In 10 minutes, you can find yourself surrounded by the Lord’s love and word even on the busiest of days. Katie is a busy Mom just like you. She wrote Putting On The Spirit because she understands how valuable our time as a Mom is. She understands what it’s like to raise children, keep a home, job, and family going. She herself has struggled the same struggle as us, in keeping up with her devotional studies all while maintaining real life. Putting On The Spirit is a one month study, designed to be completed in only 10 minutes a day for the course of the month used. Concentrating on the Fruit of the Spirit, this devotional challenges you, Busy Mom, to examine yourself and your life in the light of Scriptures to better yourself and even those around you through the daily lessons as well. It is bound to be a blessing in your life. Putting On The Spirit is available in both English and Spanish for Kindle download. The retail price is $4.99 and it’s well worth the cost. As a bonus, a Katie has also provided a downloadable workbook to go along with the study for free! After the Foreword and the beautifully written Introduction, the eBook begins with the good stuff: Breaking down the Fruits of the Spirit into daily bites that can be covered in those 10 minutes a day. You will cover Love, Joy, Peace, Long Suffering, Kindness, Goodness, Faithfulness, Meekness, Self Control and finally, putting it all together in Putting On The Whole Fruit. This is followed by the Appendix where Katie share her testimony in Faith and more. Each of Putting On The Spirit’s devotional chapters are broken down into days. Each day begins with a verse from the Bible. This is followed by a very quick explanation of what’s been read or an activity to build on what you are revealing in the Word itself. The segment is wrapped up with short questions to get you thinking about the meaning of the scripture and to help build your prayer on the subject for that day. Each day of the devotional provides a different experience which really helps you to build upon the lessons being learned and allows you to wrap yourself into the Scripture. Since the devotion only takes 10 minutes, this really allows you to meditate on that one verse throughout your day, though it does leave you anxious to get to the next day as well. I found that to be a good thing, leaving me wanting to move forward with the study where so many others have left me feeling empty and dry. The beautifully designed workbook that Katie has created to go along with the Putting On The Spirit devotional study, is a wonderful place to work through each days lesson requirements. This can be printed and placed into a notebook for easy use as your read through your day’s devotion. It is 29 pages long and provides plenty of space for writing out details for each devotion. Putting On The Spirit is 25 pages long and available on Kindle for $4.99. It’s available in English and Spanish. The bonus workbook is FREE. You can read more about Katie Hornor and Putting On The Spirit on her website Paradise Praises. You can also find Paradise Praises on Facebook and Twitter. Putting On The Spirit has been such a blessing to me over the past few weeks! I’m more than certain you will love it too! Last month, I signed up to do a review for a lovely company called Hello Fresh through Mosaic Reviews. I was completely excited to be able to provide this review – I mean who doesn’t like free food right? This company has very good reviews and was something I really looked forward to sharing with my readers. This review was a bit different than what I am used to, being a fully-equipped food package. The reviews were broken down into several weeks. I was placed into week two’s list, which was scheduled for delivery during the Thanksgiving Holidays. The ordering process was very easy and simply to do. I read about others finding confusion in this process but I didn’t find I had any problems. I ordered a Classic Box and chose three out of five menu choices that would work for my family. I entered the necessary information to have this box shipped to my home through the provided services, which ships through Fed-Ex to my area. Hello Fresh is not available every where, unfortunately but you can find out where they do deliver by checking on their website. My box arrived the day before Thanksgiving. I was expecting quality organic ingredients inside, shipped soundly with ice packs to keep it cold allowing very little shifting in the items inside. When I opened my box, I found this wasn’t completely so. There were wonderfully solid ice packs inside the box but the padding surrounding my food had shifted to allow outside elements to permeate the unsealed edges of my box. My meat had shifted from between the ice packs leaving them semi-warm instead of the thorough cold temperature I would have expected. The products inside my package were beautifully separated which I completely loved and each individually packed according to the recipe it was designed for in separate baggies. This was a wonderfully, unexpected part of the experience. However, because the meat wasn’t properly shipped within the case, all the food had a sticky texture with an odd, off smell to them. This didn’t affect the food inside the bags only the items the outer bags themselves and left me with a unappealing feeling in the pit of my stomach. Another issue I found was that one of my main dishes called for a beet to be used in my meal. The beet was provided in that dishes package of items but had a large gash in it which was filled with mold. Mind you, I didn’t expect perfection from Hello Fresh but I did expect not to find moldy food in my package. I have a child with an extreme mold allergy that can lead to severe illness and even death so I must avoid all foods that even come in contact with molds for his sake. The third issue I had was with another dish that called for a Shallot which I found to be in the same condition as my beet mentioned above. These items were things I was not able to use in my meals at all and either I had to leave them out or replace them. Since I didn’t have time or money to replace the ingredients, I opted to skip them. I did love the fact that Hello Fresh provides each box with a rather large recipe card for each meal provided. These are fully colored and share with you every step for the cooking process, including nutrition facts. Full color images are provided on them as well, which is helpful when trying to figure out what you are doing with what you have in the kitchen. I’m totally in LOVE with these cards! As I was cooking my Hello Fresh items, I made sure to thorough wash what I could to make sure no molds contaminated any other foods. Because they do package items into baggies used by meal, the dinners weren’t a total waste and I was able to create a dish out of the products sent to us. The end results turned out very well despite the initial issues with our shipping and quality of these few ingredients we were provided. Now had I been a paying customer, I would have simply contacted Hello Fresh with my complaints and asked to be issued another box immediately but since this was a one time review of this product, I decided to just let this go and share my issues within our review post. I’m sure Hello Fresh would have immediately accommodated us and corrected any issues we had with our products through them had I contacted them as they seem to be a wonderful and high quality company. Back to our meals: I chose to cook the turkey dish first. I wasn’t able to use the beet so I just skipped it. The Orzo was different and something we wouldn’t normally eat. I added butter to it, salt and pepper to taste. It tasted a lot like buttered pasta. The turkey was really yummy though I wasn’t personally a fan of the Sriracha that was used to season it. This dish also called for Edamame, which are soy beans. We don’t eat them so I also left those out. The next dish I made was the Stuffed Squash with the Cherry Balsamic Reduction. We are squash lovers so this was a great one for us. I did not use the meat that was sent with the Hello Fresh box because it’s the package that I believe may have been leaking and was not cold when I received it. I wasn’t willing to risk it so I did substitute Venison which we already had in our freezer into this dish. I also substituted a small yellow onion for the Shallot that wasn’t usable in my package. Both worked wonderfully in our dish. The Basmati rice took a bit of getting used to but it’s something we would try again and I was not a fan of the cherries but the kids liked them. With some tweaking, this is a meal we would gladly have again. Last, I made Zucchini Parmigiana. I have wanted to make this dish for forever in our home but haven’t. I’m a huge fan of Italian foods and Zucchini is a new favorite of mine. The dish turned out amazingly. The flavors went together so wonderfully and it was surprisingly easy to make. Let me just say, if you’ve ever wanted to make Zucchini Parmigiana, do it now! You will love it as much as I do! Overall, my experience with Hello Fresh’s product could have been better but no company is perfect. What food we were able to use was delicious and the meals were able to be salvaged into something we really did enjoy. Except for the items I listed above, the rest of the items were fresh and tasted superb in the dishes they were used in. As I stated, had I been buying this, I’m sure the company would have corrected these small issues but since I am only a one time customer providing a review, I did not persue that course of action. Hello Fresh sends out a different menu each week. Each box contains the necessary ingredients for the meals you choose to order out of the five for the Classic Box, which I received. There is also a Vegetarian box that can be ordered with only three meals. You order the box one week and the dishes are sent out for the next weeks delivery. You can cancel at any time. A credit card is required to order. A Classic Box from Hello Fresh containing three complete meals costs $69 a week for two people. You can also order a meal for 4. For this review, we were gifted the meal for 2 box.